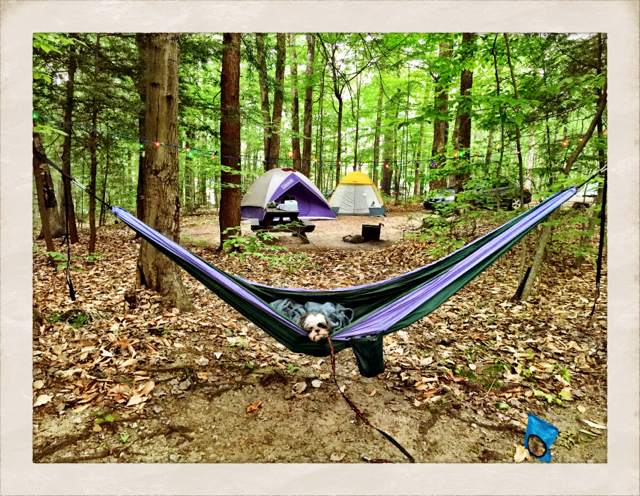 Not every campground has the convenience of trees the right distance apart to hang a hammock. But if you find one that does, Eno is the perfect choice for a hammock that is easy to travel with, easy to put up and small enough to not notice amongst your gear. Admittedly, these hammocks aren’t cheap. But they can be easily washed in the washer and they last. We’ve had ours for more than 5 years and it is not really wearing much at all. They come in lots of color combinations and you can get them sized for one or two people. I recommend getting the Slap Straps that Eno sells to make it easier to hang. They allow you to wrap the straps around a tree and put through loops to secure. You can even get some distance from the tree using this method so if your trees aren’t perfectly spaced, that works too. Quick tips: The pocket that the Eno folds up into to be put away makes a great drink holder. Just slide a Klean Kanteen into that spot and your drink is handy while you rest and read. Of course, if you want to keep more than just a drink handy, it works well to setup a small aluminum table next to the hammock. Or a big rock. Either way.